DAIMONOLOGIA: Book Review: "Very Short Introduction to Paganism"
He had, he said, been initiated into a witches’ coven in the New Forest one night in 1939. Details of their secret rituals were recorded in his manuscript copy of the Book of Shadows and published in his High Magic’s Aid (1949). These witches, so Gardner said, kept alive the fertility religion described by Margaret Murray (1863-1963) in her Witch Cult in Western Europe. Margaret Murray was by training an Egyptologist, whose knowledge of the ancient language proved of value to the archaeologist she admired, Flinders Petrie. But it was her grand theory of the survival of witchcraft that proved popular. No one embraced it closer than Gerald Gardner. 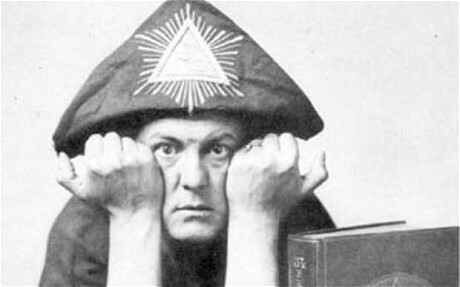 He furnished the supposed religion with spells supplied by Aleister Crowley and by Samuel Liddell Mathers (1854-1918). Mathers was a founder in 1888 of the Hermetic Order of the Golden Dawn, the first modern occult organisation dedicated to the practice of ritual magic in Britain. It established temples (dedicated to Horus in Bradford and Osiris in Weston-super-Mare). Aleister Crowley had joined the Isis-Urania temple in London and drove Mathers to distraction by pirating his magic text, the Lesser Key of Solomon in 1904. One might mention the internet’s role in propagating Wiccan notions of religious history. Professor Davies notes that television programmes such as Buffy the Vampire Slayer and Sabrina the Teenage Witch “normalised the idea of Wiccan magic for tens of millions of viewers, though without really portraying Wicca as a pagan religion as distinct from a mere source of spells”. A more alarming role for resuscitated paganism in nationalist movements is exemplified by the building of a pagan altar in Vilnius for the historically fanciful Romuva movement. Worse, in Serbia was the belief that St Vitus was merely a Christianised version of the war god Vid. St Vitus Day, also that of the emblematic battle of Kosovo in 1389, became a national holiday in 1914 under the name Vidovdan. By 1996, a report submitted to the Serbian Orthodox synod spoke of “the brutal and uncompromising re-paganisation of Serbia”. It was not a myth helpful to peaceful coexistence. The backwaters of cult mysticism remain to me a fascinating chaos of currents, from the occult philosophy of Hermes Tismegistus to Madam Blavatsky, from the druidic wicker man to the induction of Dr Rowan Williams into the Gorsedd of Bards. Their importance depends on the myths they convey and whether those myths embody truth.